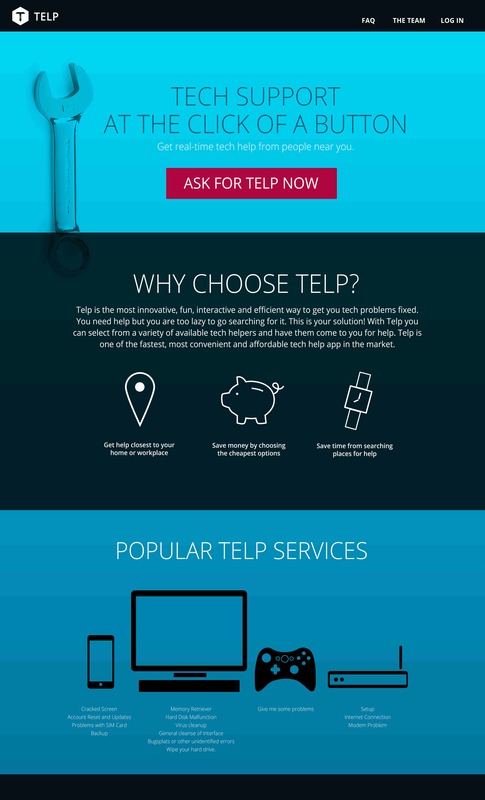 I worked on the website design of Telp, including the marketing page, the tech help request page, as well as the helper matching process. 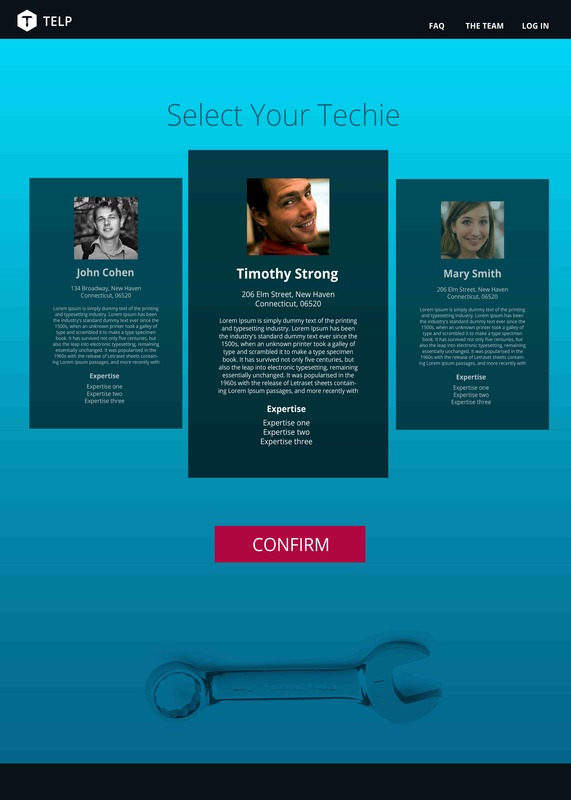 I met the Telp team at Yale's hackathon and they asked if I could join their team in the future as a web designer. After YHack, I joined their team with students from from UMichigan, Purdue, and Yale. 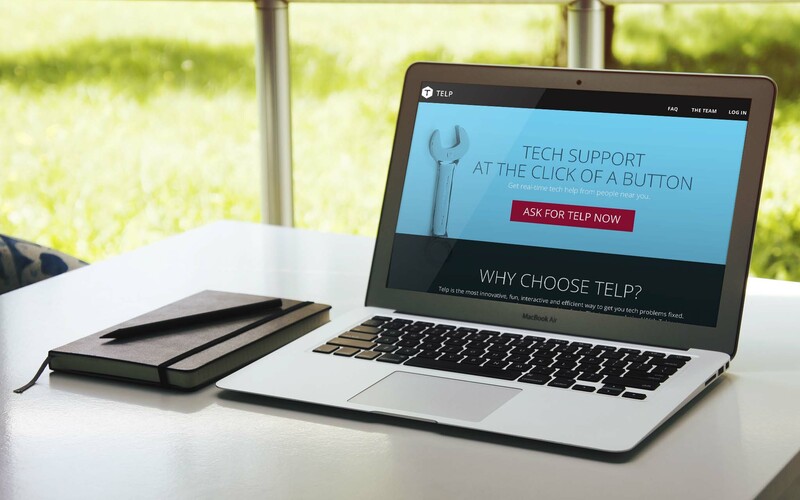 Telp is an online platform that connects tech helpers with people who need technical support, such as fixing monitor cracks and internet connection problems. 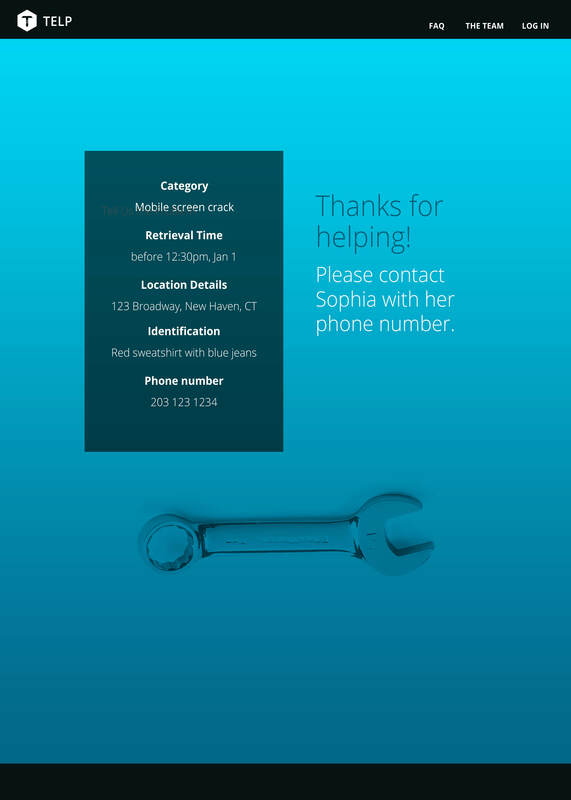 It is an interactive and efficient way to solve technical issues, as it helps people search for technical support closest to your home, dorm, or workplace. 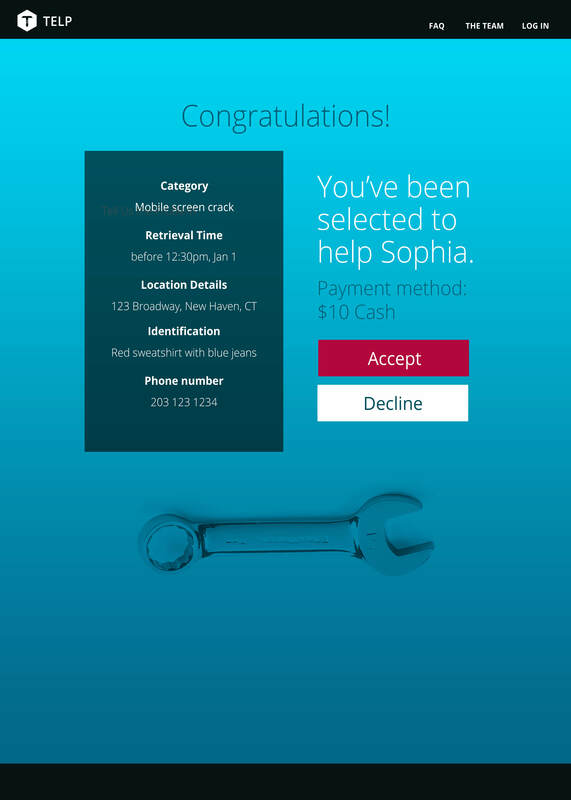 It also creates a platform for communication among people and "telpers".